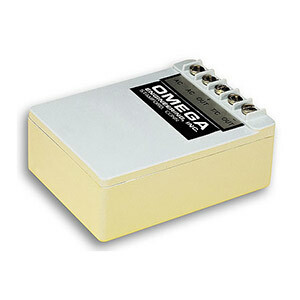 Encapsulated Power Supplies provide a versatile excitation source for transducers and bridges. The barrier strip-type case is designed to be mounted to a bulkhead or chassis using four 4-40 screws. Screw terminals are provided for connection using either crimp lugs or stripped wires. These regulated power supplies are designed to be a modular solution to your excitation needs. The stable output allows drift-free performance even if the input power source is noisy or unstable. Long-term measurements can then be meaningfully compared with confidence. Short circuit protection prevents failure due to excessive current drain, and the conservative design assures long-term reliability.